The terms food critic, food writer, and restaurant critic can all be used to describe a writer who analyzes food or restaurants and then publishes the results of their findings. While these terms are not strictly synonymous they are often used interchangeably, at least in some circumstances. Those who share their opinions via food columns in newspapers and magazines are known as food columnists. They are often experts in the field. Food critics and "restaurant critic" are synonyms, in practice, although there is still a distinction to be made. Both suggest a critical, evaluative stance that often involves some kind of rating system. The distinction, if any involves the range of possible investigation. "Food critic" has a more contemporary vibe, suggesting that restaurants, bakeries, food festivals, street vendors, and taco trucks are all fair game. "Restaurant critic" is the more traditional title and can connote a more restricted sphere of operations - traditional restaurants, with perhaps those serving French cuisine being the examples. 8 of the most epic food wars of all time - "What belongs on a pizza? And seven more all-time epic food wars." 10 signs you're a pretentious foodie - The Telegraph. 17 Most-Read Food Stories of 2018 - "The deaths of Anthony Bourdain and Jonathan Gold, the continuing reverberations of the #MeToo movement throughout the restaurant world, comfort foods both savory and sweet — these were the subjects that drew the most readers to New York Times Food in 2018." 2018 World's 50 Best Restaurants - since 2002. British Restaurant magazine. 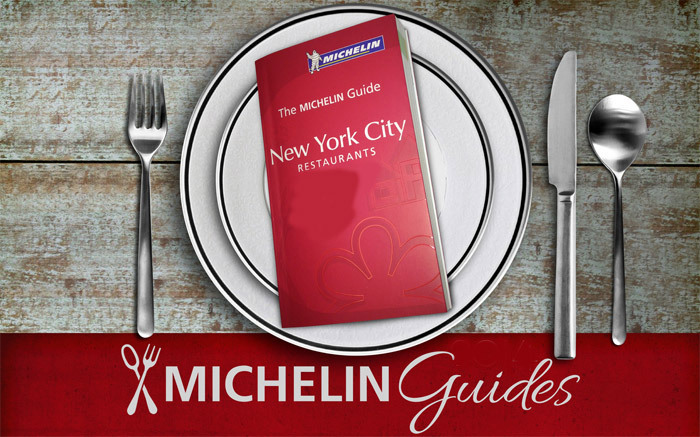 Are Michelin stars a mark of quality – or a pompous straitjacket for chefs? - The Telegraph. Dictators' Dinners: The Bad Taste Guide to Entertaining Tyrants - Amazon.com. Disgusting Food Museum - "80 of the world's most disgusting foods." Adventurous visitors will appreciate the opportunity to smell and taste some of these notorious foods. Do you dare smell the world’s stinkiest cheese? Or taste sweets made with metal cleansing chemicals? Carlsgatan 12, 211 20 Malmoe, Sweden. Google sells restaurant review service Zagat - engadget. how Nigella Lawson changed food writing - The Guardian. 'La Liste' reveals world's best 20 restaurants 2017 - The Telegraph. List of Michelin 3-star restaurants - three stars mean "exceptional cuisine that is worth a special journey". Wikipedia. world's 50 best foods - "'There is no love sincerer than the love of food,' George Bernard Shaw said. Judging by the number of amazing dishes out there, he was right." 50 BEST RESTAURANTS - since 2002. British Restaurant magazine. 1,000 outstanding restaurants 2017 by La Liste - "La Liste is an algorithm-based aggregator of food guides and reviews, crafting the perfect ranking of the world’s best restaurants." ANDY HAYLER'S RESTAURANT GUIDE - "In June 2014 there were 110 three Michelin star restaurants in the world, and I have eaten at all of them." Over the last 20 or so years I have been eating in restaurants three to six times a week. I have been lucky enough to travel widely, and I always try and eat well, so I have added notes on the various restaurants I have been to, from the USA (which I have visited over 100 times) to India (18 times) and Japan (eight visits in the last five years). APPETITE MAGAZINE - "Tickle your tastebuds..."
BEST EMERGING CHEFS & CREATORS - "Thinkers in the Kitchen." culinary insights - "The personal blog of Ingo Scheuermann." Serious reviews of top end restaurants by "someone travels the world to eat at some of the best restaurants in remote places. Who tries to understand the cooking of some of those brilliant chefs by amateurishly trying to replicate their recipes? Who wants to share his dining and cooking experiences with the likes of him?" Dictators' Dinners: The Bad Taste Guide to Entertaining Tyrants - an investigation into what some of the world's most notorious twentieth-century despots have enjoyed most at their dinner table, and with whom. Here we learn of their foibles, their eccentricities and their frequent terror of poisoning - something no number of food tasters was ever able to assuage. FOUR Magazine - "The World’s Best Food Magazine, offers a lifestyle twist that is a must-read for the high net worth individual." World's best chefs, restaurants, recipes, wine and luxury lifestyle. Good Food - recipes, Australian restaurant reviews & food guides. K's Luxe Dining Table - by Katie Keiko. Since 2009. Blog on fine dining. Food photography & wine reviews. I am based in Hong Kong and I travel frequently to Japan. LA LISTE - "La Liste is an algorithm-based aggregator of food guides and reviews, crafting the perfect ranking of the world’s best restaurants. Trusted sources from around the world are compiled year round, leading up to the glamorous ceremony when the world’s best chefs are honored each December in Paris. Bon appétit!" Let's Go Out Again: Interiors for Restaurants, Bars, and Unusual Food Places - "Whether clean sculptural lines, mirrored facades, old industrial fittings, or cozy retro furnishings, Let's Go Out Again shows how interior designers combine at times unusual ingredients to arrive at a tasteful setting for a range of culinary tastes and occasions." LUXEAT - since 2004. "In search for beauty on a plate." In my view, gastronomy is both an art form and a reflection of our civilization and cultural backgrounds. I have discovered that behind every ingredient, every dish, every restaurant, there is always a fascinating story, an exciting personal quest. And this is precisely what I am trying to do with this blog: share with you the countless stories of the chefs, cooks and other food magicians who, all over the world, bring joy not only to our stomachs but also to our souls. - Aiste Miseviciute. makansutra - since 1997. "Celebrating the best of Asian food culture & lifestyle." RELAIS & CHÂTEAUX - since 1961. "Discover gourmet restaurants and luxury hotels all around the world." Relais & Châteaux is a world in and of itself, unlike any other. A warm, welcoming, gourmet affair awaits where outstanding quality is coupled with each individual property's passion for their own region and its terroir. ROSSOUW'S RESTAURANT GUIDE - "The independent guide to South African restaurants." Tabelog - "For those who do not want to choose the wrong restaurant, “Tabelog" posts information about restaurants and eating places in Japan." THE GOURMAND - "A contemporary food, arts and culture journal." VERY GOOD FOOD - "The personal blog of Trine Lai. Foodie, epicure, excellent eats enthusiast." Danish food blog. WORLD'S 50 BEST RESTAURANTS - Restaurant Magazine. world's best places for extreme eating - "Here’s where to wrangle the world’s weirdest foodstuffs into your stomach." Lonely Planet. ZAGAT - since 1979. "For those looking for exceptional experiences, Zagat has been the go-to source since our first guide was published over three decades ago." The best restaurant reviews for your city. Get ratings for restaurants & nightlife in NYC, Boston, Los Angeles, and around the world from Zagat.